Visit to the Papal Villas (Vatican Gardens) and the new Museum in the Apostolic Palace. 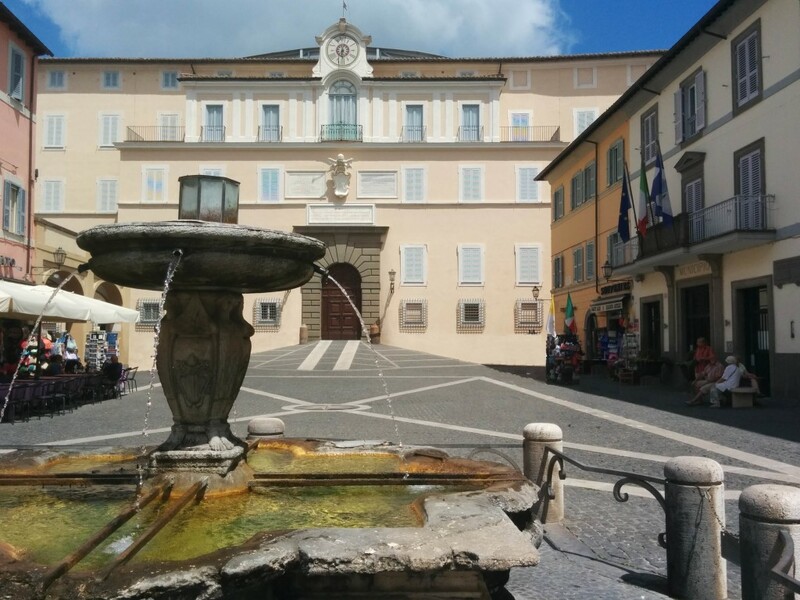 Bernini in Castel Gandolfo: the church of St. Thomas of Villanova and the renovation of the fountain. This magnificent, secret spot is a place where the splendour of art and the wonders of nature live in admirable harmony. 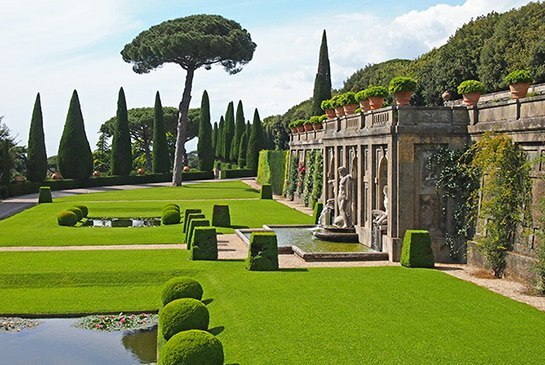 Covering an area of 55 hectares (30 of them in gardens and the remaining 25 devoted to agriculture), the Papal Villas lie on a strip of land running from the heart of the town of Castel Gandolfo and extending as far as Albano – an “extraterritorial zone” belonging to the Vatican State. Over the centuries this site where the Papal Villas now lie has always been an important location, because, before becoming the place where successive Popes preferred to spend their summers, it was where once stood the legendary city of Alba Longa, which Livy, Suetonius and Martial all agreed was the point at which Rome had its origins because it was there that the Romulus and Remus twins were born. Enchanting in any season of the year, the Papal Villas were formed by combining a number of different properties. In 1773, Villa Cybo, purchased from Cardinal Camillo of the same name, was annexed to the seventeenth century Moro Garden directly connected to the Apostolic Palace. Villa Barberini, on the other hand, built in 1631 by Prince Taddeo, was added in 1929. The first Pope to spend his vacations in Castel Gandolfo was Urban VIII (Maffeo Barberini). 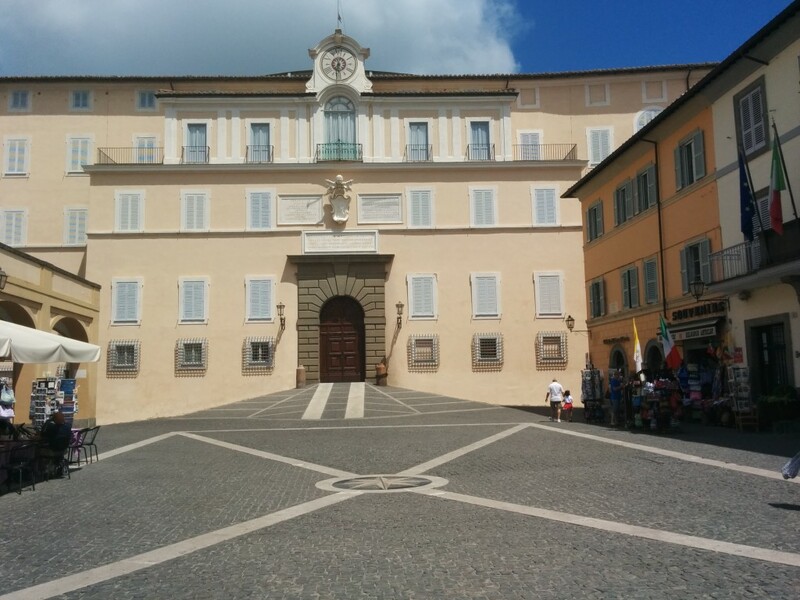 Cardinal Barberini already owned an apartment in Castel Gandolfo, outside the walls near Porta Romana and when he became Pope, he decided to continue to holiday in the town, but brought the property up to the standards of his new position. He commissioned Carlo Maderno to upgrade and expand the old castle and the baronial mansion to meet their new role as Papal Palace. A new wing was built facing the lake. The quite modest rear garden was replanted and has remained essentially unchanged since then. On 10 May 1626 Urban VIII went to Castel Gandolfo for his vacation . Pope Alexander VII, Flavio Chigi (1655-1667) came to Castel Gandolfo for the first time in 1656. 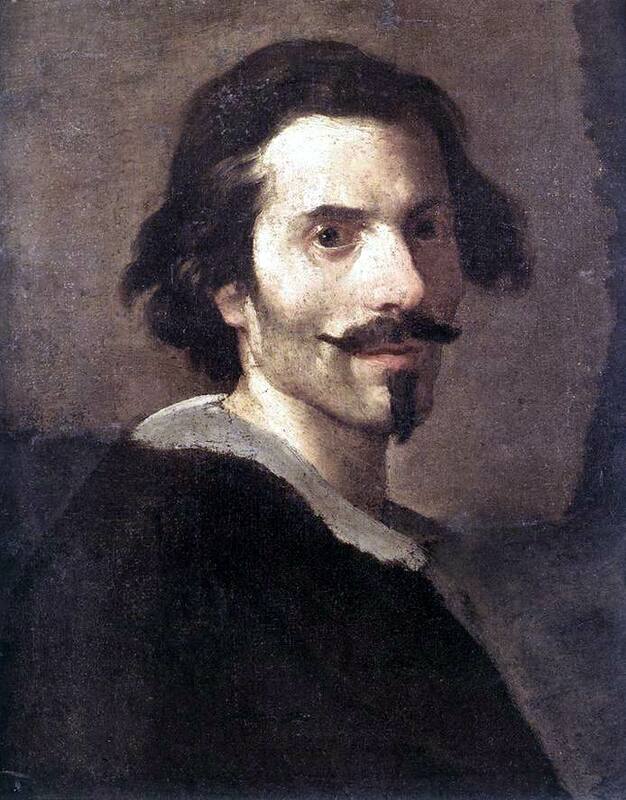 He commissioned Gian Lorenzo Bernini to expand the Papal Palace and to build the new collegiate church of St. Thomas of Villanova, whom he canonised in 1658. Today the Apostolic Palace, which in the past has always been the preserve of the Pope and his closest staff, is open to the public and one can visit the new museum area made up of the Gallery of the Portraits of the Popes . Traditionally this fountain, located in the square in front of the Apostolic Palace has been attributed to Bernini. built by him, as the work has none of the innovation of Bernini fountains like the “Fountain of the Bees” in the Belvedere courtyard of the Vatican or the famous “Barcaccia” in Piazza di Spagna (Spanish Steps). 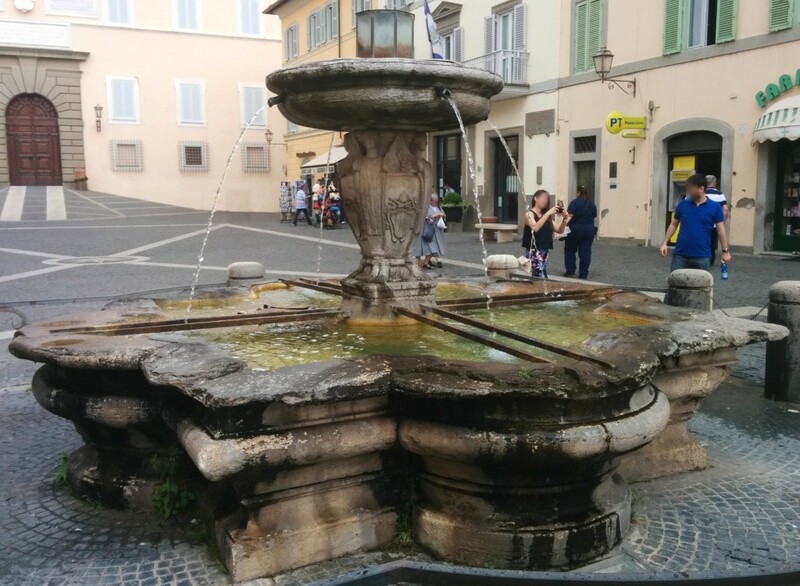 In this context it is worth nothing that the fountain designed by Maderno in 1614 for Scossacavalli Palace is almost identical to the one in Piazza della Libertà, which leads one to believe that it was he who built it. Bernini was, however, responsible for moving the Fountain, originally placed closer to the old “Oratorio di San Nicola”, to bring it more towards the centre of the square, after the church of St. Thomas of Villanova had been built. Alexander VII refers to it in his diary entry dated 3 October 1660.